How anyone could let go of such an amazing boy is beyond us. Moose is WONDERFUL! 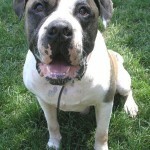 This big lug is an absolute sweetheart and his foster mom thinks he is a total Dream! 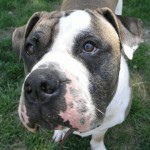 Moose is a big strong dog on the outside, but on the inside he’s a soft hearted loving boy. 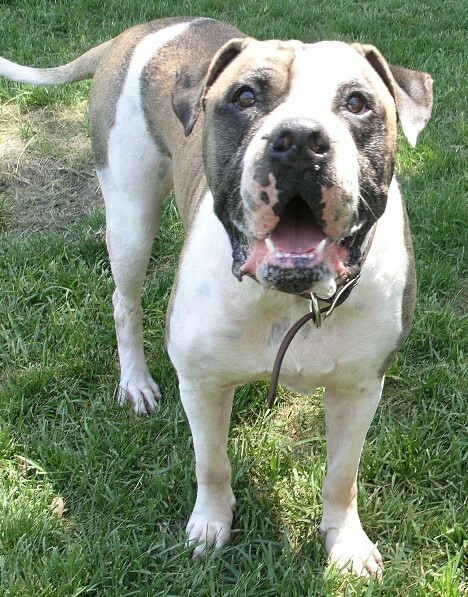 All he wants in the world is to be in a home, snuggled on a couch with people who love him. 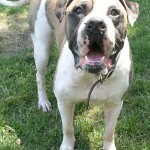 This boy is goofy and fun loving and guaranteed to bring a lifetime of laughs to his new home. 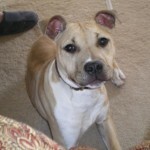 Moose is currently fostered with 3 other dogs and he gets along wonderfully with all of them. He would love another canine companion in his new home, but he could be perfectly happy as an only pet soaking up all the attention as well. 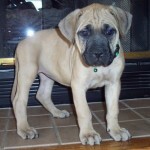 We believe that Moose is a St. Bernard/Mastiff mix. 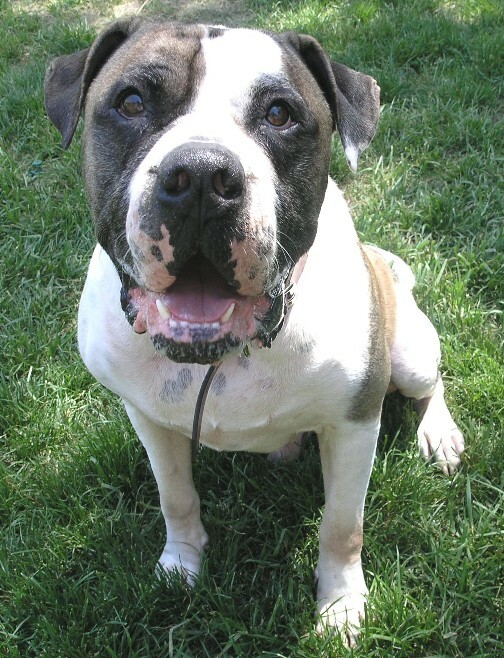 He is not a dog for everyone and will need a home that understands guard dog behavior. Moose bonds very strongly to his people. He would do anything to make them happy and he needs an owner who respects and understands that gift and will keep him safe and out of trouble. 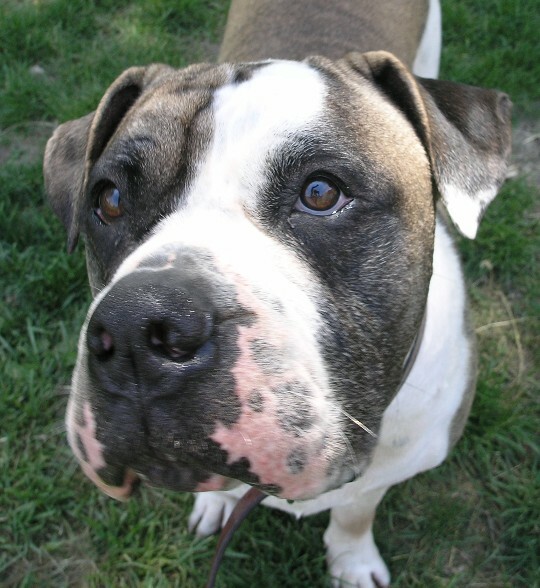 He also needs a home that is prepared to deal with his large size and his big droopy lips… that WILL leave 1/2 the water dish in your lap after he takes a drink. Most of all Moose just needs someone to love him and commit to him for the rest of his life. Loosing his home and being dumped in the shelter really devastated this boy. He is not a dog that can be ignored, he wants to be a true part of the family – and he deserves it. He is a trooper though and he quickly put his heartbreaking ordeal behind him. His foster mom has watched him quickly blossom into a carefree happy pet again once he realized he wasn’t going to stay abandoned and alone- and she’s promised him that he will never be discarded again. Moose appears to have some skin allergies that are probably magnified by his current stressful situation. 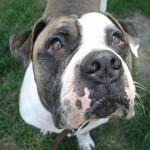 He could have food or other allergies though that will need to be monitored and properly treated. We will update his condition as we learn more about him. Truth is Moose loves everyone and everything……now he’s counting on someone to love him back. Please apply for this big ole lug today! We can’t wait for this loving boy to be back in a home where he belongs, and this time with a family who will never abandon him again.